A criminal complaint details how a Wisconsin man allegedly kidnapped a 13-year-old girl for 88 days after killing both her parents. 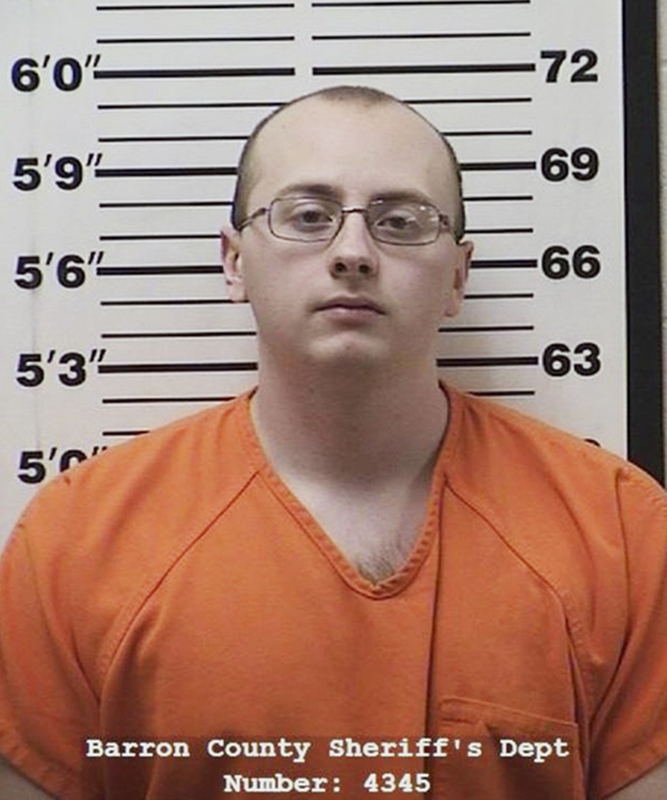 Jake Thomas Patterson was driving to work at a cheese factory when he stopped behind a school bus on a highway and watched 13-year-old Jayme Closs get on the bus. Patterson, 21, later told authorities that he had no idea who she was, but that when he saw Jayme, he “knew that was the girl he was going to take,” according to a criminal complaint released Monday. Patterson allegedly confessed to killing Jayme’s parents, James and Denise Closs, and kidnapping their daughter, according to the complaint that reveals horrific details about the teen’s 88-day abduction after she witnessed her parents’ murders in rural Wisconsin. Patterson is charged with two counts of first-degree intentional homicide, one count of kidnapping, and one count of armed burglary. He appeared in Barron County Circuit Court on Monday afternoon via video feed from jail, where a judge set bail in the case at $5 million. After fatally shooting both her parents, Patterson allegedly abducted Jayme and kept her in his cabin in a remote area outside Gordon, Wisconsin, for three months. He forced the teen to hide under his bed for up to 12 hours at a time without food, water, or bathroom breaks, the complaint said. He warned her that bad things would happen to her if she tried to get out from under the bed, which he allegedly stacked with plastic totes that had weights pushed against them to make them difficult for Jayme to remove. Jayme later told authorities that once Patterson got mad at her about something and hit her “really hard” on her back with a handle used to clean blinds and that it hurt “really bad,” according to the complaint. Patterson also had family members and friends over to his house and warned Jayme that she was to hide under his bed and make sure no one knew she was there or bad things would happen. He would also turn up the music in the house to make sure no one heard her. Patterson told authorities that he would have angry outbursts when he thought Jayme was trying to escape and that she feared him enough that she wouldn’t leave when he was not at home. The complaint said that on Jan. 10, Patterson told Jayme he was going to be out of the house for five to six hours and made her stay under his bed. However, Jayme was able to push the totes and weights away from the bed and crawl out. She told authorities that she put on Patterson’s shoes and walked out of the house, where she met Jeanne Nutter, a former social worker, who was walking her dog. Nutter took Jayme to another neighbor’s house where they called 911. 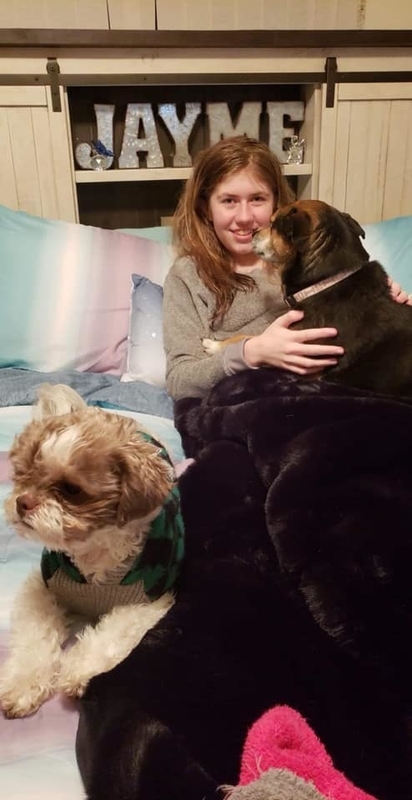 The home where teenager Jayme Closs lived with her parents in Barron, Wisconsin. Patterson told authorities that he put quite a bit of thought into planning Jayme’s abduction after seeing her on the school bus. He said he only learned her name after he abducted her, and that he learned her parents’ names from news reports about their murders. On the day of the alleged abduction, Patterson took his father’s shotgun and shaved his face and entire head to ensure that he did not leave DNA or hair at the scene of the crime, the complaint said. On the night of her abduction, Jayme woke up her parents after her dog’s barks alerted her to someone driving up to their house. When Jayme and her father, James Closs, saw a man standing outside their door with a shotgun, she and her mother, Denise, hid in a bathtub in their bathroom with the door locked. Jayme said she then heard a gunshot and knew her father had been killed. While Denise Closs was using her cellphone to call 911 from the bathroom, Patterson allegedly broke down the bathroom door and ripped off the shower curtain behind which Denise and Jayme were hiding. Patterson told police that he saw Denise sitting in the bathtub with her arms wrapped around her daughter in a bear hug. He ordered Denise to tape Jayme’s mouth shut, but when she struggled to do it, he took the tape from her, wrapped it around Jayme’s mouth and head, and taped her wrists and ankles together. He then allegedly shot Denise in the head while Jayme was standing next to him in the bathroom. Patterson then dragged Jayme out of the house and put her in the trunk of his car. Patterson passed three squad cars on their way to the Closs residence, according to the complaint. He later told investigators that he would have most likely shot the police had they stopped him because he was determined to take Jayme that night.